Twin Cities Habitat for Humanity affirms its social and legal commitment to promote an atmosphere and environment that recognizes the principle and practice of equal employment opportunity. As such, Twin Cities Habitat for Humanity does not discriminate in employment opportunities or practices on the basis of race, color, religion, gender, national origin, age, disability, sexual orientation, status with regards to public assistance, membership or activity in a local commission or citizenship status, or any other characteristic protected by law. Twin Cities Habitat for Humanity team members are motivated by our mission and live out our core values each day. Our teams are collaborative and innovative. We seek employees who are comfortable adapting to change, are understanding of perspectives not their own, and are willing to learn from others. We invite applicants who are problem solvers and who balance self-direction with teamwork. We seek employees who desire an organization which values collegiality, respect, and pride in workplace. We care deeply about our employees. We offer a competitive benefits package and aim to create professional development opportunities, both within our organization and through external education experiences. 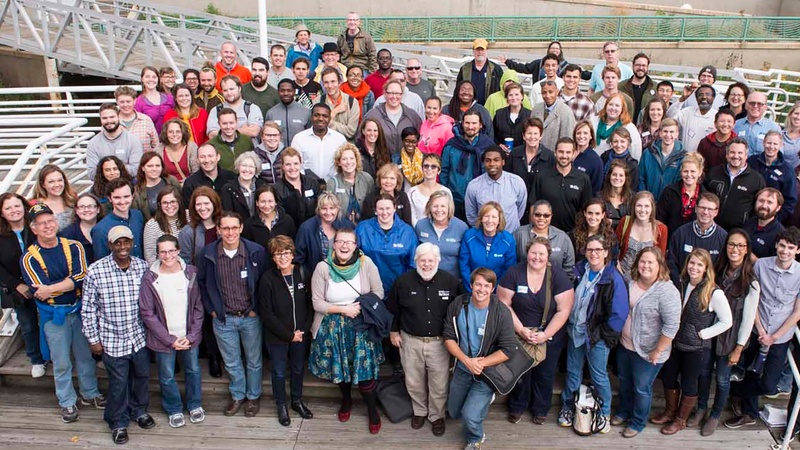 Twin Cities Habitat for Humanity strives for a diversity of thought across our organization. This means we are committed to cultivating and preserving staff who reflect the Twin Cities metro area. We hope to attract candidates who broaden our diversity of race, gender, sexual orientation, age, ethnicity, religion, cultural experiences, skills, and community representation. We believe the inclusion and amplification of our differences create a more effective workplace and a more compassionate world. Eight paid holidays to celebrate: New Year's Day, Martin Luther King Jr. Day, Memorial Day, Independence Day, Labor Day, Thanksgiving Day, Day after Thanksgiving Day, Christmas Day. Our robust vacation package recognizes employees’ diverse needs for time off beyond these eight paid holidays. Note: All benefits are subject to change without notice. Comprehensive benefits package will be included in position offer. We regularly update this page. Please check back often to see our latest postings. Thank you for your interest in a career with TCHFH. Currently there are no open positions, please check back often. No part-time positions available at this time. View all the positions here, or send an email to kristal.sawatzke@tchabitat.org with any questions. Along with your resume, your application material is strengthened with a cover letter. Cover letters help us learn a little bit more about you, but do not need to be extensive in length. While you may include many items, here are three questions we recommend you address. Why are you interested in applying for the position? What is attractive to you about working at Twin Cities Habitat for Humanity? What special/unique personal or professional experiences or skills do you have that would help us meet our mission? Cover letters should be attached to resumes and submitted as one document, if possible. Your resume will not be disqualified if it is submitted without a cover letter. We read through all applications and sometimes we get hundreds of applications for one role. Depending on the number of applications we receive, it can take up to a couple of weeks after the deadline to read the applications and select a group of candidates for interviews. We select candidates based on the strength of match of the position needs and the candidate’s skills and experiences, objectives, and narrative (cover letter). If you are selected for an interview, you will be contacted by our Human Resources (HR) department to arrange a time for the initial phone screen. Subsequent rounds of interviews will be explained by an HR representative as appropriate. Due to the high volume of open positions and candidates, the HR department is often unable to follow up individually with all applicants. In most cases, you’ve reached this page because you are interested in getting more involved with Twin Cities Habitat for Humanity. For this, we are grateful and want to provide as much clarity around the process as we can. We hope additional transparency about our process will help level the field and take the mystery out of what happens next.